Ana Ivanovic has withdrawn from the China Open with an upper respiratory infection. She said in a statement on Saturday that it has been a very disappointing season.The 21-year-old Serbian said her body was “quite fragile” following a combination of too much training and not enough recuperation. Rafael Nadal has recovered from an abdominal injury and made himself available for Spain’s Davis Cup final against the Czech Republic in December. He plans to resume playing at next week’s China Open, before traveling to the Shanghai Masters, the Paris Masters and the ATP World Tour finals in London. Austria's postal services announced they will issue a 65-centime stamp honouring Roger Federer as the world's best tennis player. 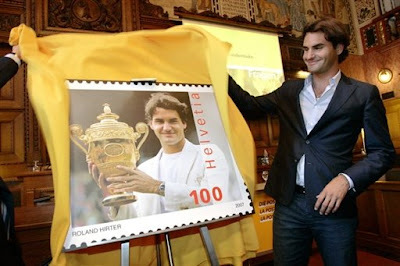 Some 400,000 stamps which show Federer winning the French Open last June will go on sale next February. 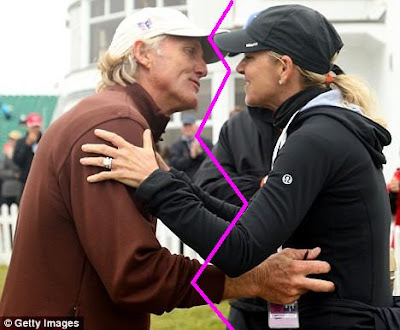 Just 15 months after they were married, golf star Greg Norman and tennis great Chris Evert (the original Ana Ivanovic-Adam Scott) announced they have separated. They did not elaborate on the split or on whether a divorce was impending. Belgians Yanina Wickmayer, US Open semifinalist, and Xavier Malisse have been called before the nti-doping tribunal for not fulfilling their anti-doping responsibilities. Wickmayer has missed filling out her whereabouts requirements three times, while Malisse has not filled his whereabouts information twice and has also missed a test. Hong Kong’s highest-profile women’s tennis tournament JB Group Classic has asked the government for a $700,000 bailout after its main sponsor withdrew backing for the early season exhibition event. Tourney director Terry Catton added that the tournament would still go ahead “whatever happens”.